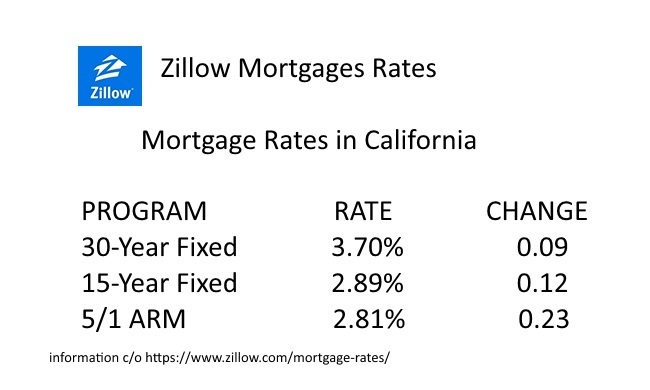 Zillow Mortgages' current mortgage rates in California for mortgages decreased 1 basis point from 3.71% to 3.70%. State mortgage rates today ranged from the lowest rate of 3.63% (LA) to the highest rate of 3.81% (MO). California mortgage rates today are equal to the national average rate of 3.70%. The California mortgage interest rate on January 8, 2016 is down 10 basis points from last week's average California rate of 3.80%.